Someone is following Sarah Lucas. When she peers down from her apartment window late one night, she sees him hovering in the shadows. And what about the other strange things that have been happening to her? The old woman who appears every so often to give Sarah a cryptic piece of advice and then vanishes? The mysterious gleaming stone that turns up in the mail, a universe of tiny stars suspended in its depths? But there's no one Sarah can trust with her story. Her journalist parents have been killed in a freak plane crash, and her older brother, Sam, a scientific genius, has disappeared under suspicious circumstances from the top secret institute where he works. Sarah couldn't be more alone in the world, until the day she meets Angel Muldoon, a half-Gypsy stable boy who carries a secret of his own. Together they will begin an incredible journey to another world, where they must return the stone to its rightful place and keep the forces of unimaginable evil at bay. "well-paced, full of magic, mystery and invention, this engrossing story merits rereading." 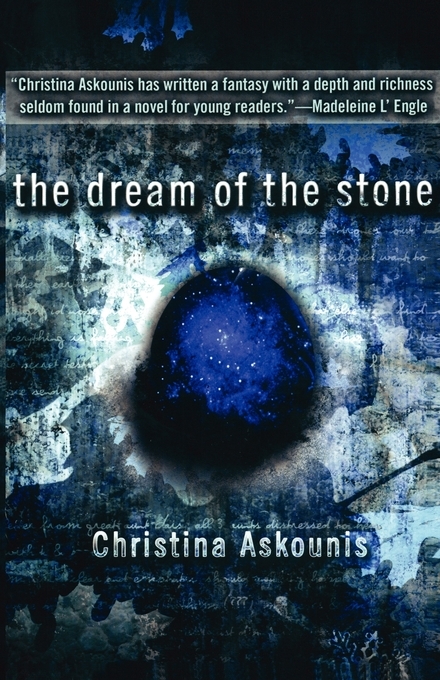 "Christina Askounis has written a fantasy with a depth and richness seldom found in a novel for young readers." "This book is one that may well be read in one sitting...and the open end leaves the way clear for a sequel. Readers drawn into this volume will stick around for the next." "The novel has the pacing of a thriller plus a bit of romance thrown in for spice."